Reports this evening would suggest that former Juventus goalkeeper Gianluigi Buffon has agreed to join a notable Champions League club. Former Juventus goalkeeper Gigi Buffon has agreed to join Ligue 1 champions PSG with an official announcement to come next week. The respected Italian outlet CalcioMercato have reported that the Italian and Juve legend has agreed a deal to join the French giants with Buffon expected to sign a notable €7m per year deal spanning over the course of two years. 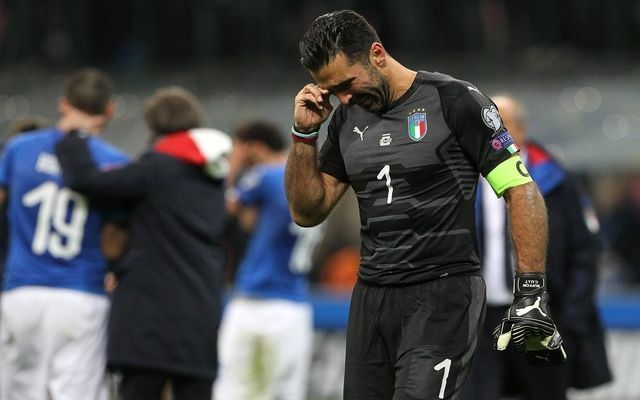 Buffon will turn 41-years-old next season in January but it appears that his desire to play for Europe’s top clubs has not deteriorated with age. Buffon of course left Juventus at the end of the season and the legend finished his final season with the Serie A side in equal measures of controversy and glory. Buffon did manage to help Juve to seal another consecutive Serie A title but he was dramatically sent off in the final minutes of a Champions League quarter-final this year vs Real Madrid with Cristiano Ronaldo then converting a last minute penalty which would cancel out Buffon’s last ever chance to win the European competition with Juve. Buffon has played for Juventus since 2001 playing over 500 times for the Italian giants in a stint that has lasted over 17 years. The only other professional side that the Italian ‘keeper has played for is Serie A side Parma.